In an effort to more efficiently serve you, TAP is not availalable via e-mail rather than through chat. Please contact us through the below e-mail or phone number. Please CLICK HERE for a list of date/times during Spring 2019 that TAP will BE CLOSED/UNAVAILABLE due to special events. Our mission is to connect you to the advising resources you need to be successful, and to help you create a seamless transition to your bachelor degree. If you’re on campus and would like to stop by our office, we’re located in N111, Cougar Village 1. Our business hours are 8:00 AM to 5:00 PM, Monday through Friday. 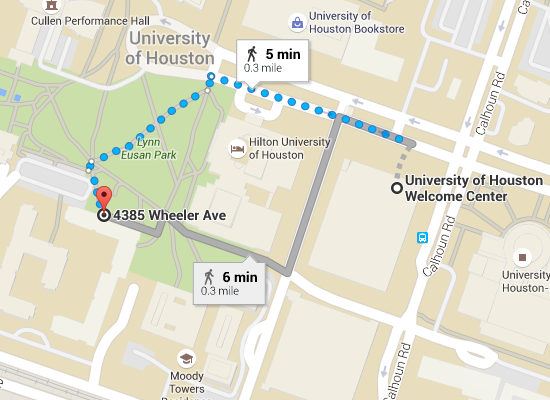 Please park at the Welcome Center, then follow this map to the Transfer Advising office at N111 Cougar Village 1.